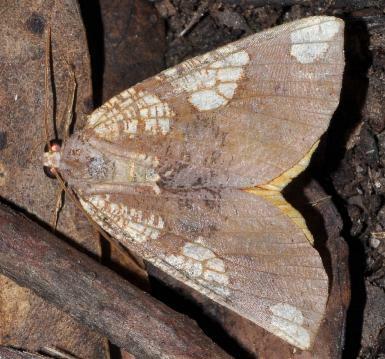 The adult moth has brown forewings with yellow patches. The forewings have recurved wingtips. 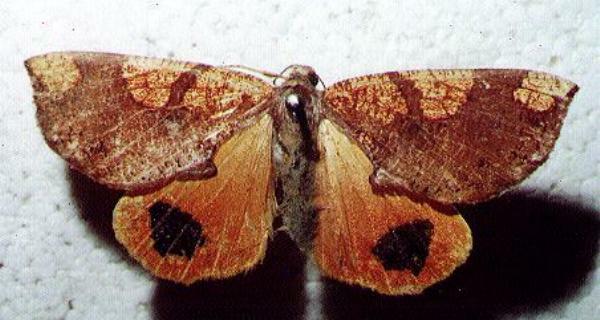 The hindwings are orange, each with an black spot near the middle. 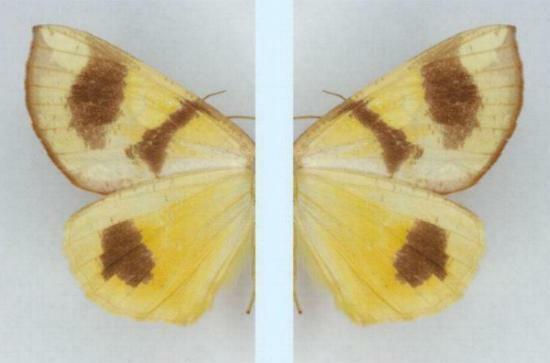 The moths have a wingspan of about 4 cms. Moths of Australia, Melbourne University Press, 1990, p. 366. Entomological Society of Victoria, Update 58 (22 September 2017). Volume 42 (1917), pp. 389-390, No. 128.